Hyderabad (Telangana) India, Jan 19: In a bid to address farmers' distress, the Telangana Government has decided to waive loans upto Rs 1 Lakh taken by them, Governor E.S.L. Narasimhan said Saturday. Hyderabad (Telangana) [India], June 30 (ANI): Telangana Chief Minister K. Chandrashekhar Rao on Saturday made it clear that the Rythu Bandhu Investment support scheme for agriculture is meant to provide investment to farmers for their crops, but is not meant for tenant farmers. 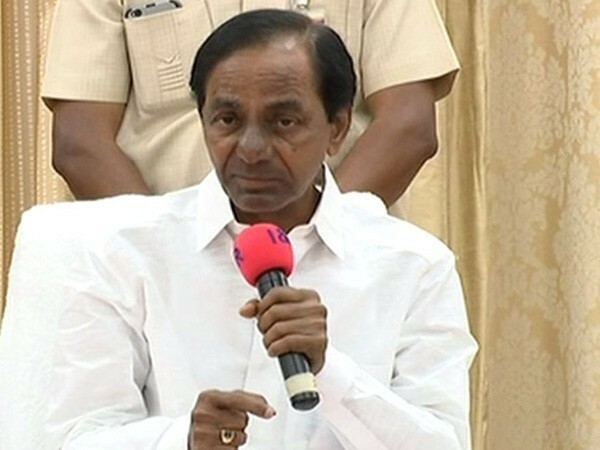 Hyderabad (Telangana) [India], May 23 (ANI): Telangana Chief Minister K. Chandrashekhar Rao has instructed officers to ensure distribution of Rythu Bandu cheques and Pattadar passbooks to all eligible farmers by June 2. Hyderabad (Telangana) [India], May 06 (ANI): Huzurabad town of Telangana's Karimnagar District will be the first to benefit when the state's Chief Minister K. Chandrashekhar Rao will launch the first phase of cheque distribution programme under Rythu Bandhu Scheme for farmers on May 10. Hyderabad, (Telangana) [India] Apr 21 (ANI): Telangana Chief Minister K Chandrashekhar Rao on Saturday announced that the farmers, lease holders and non-tribals cultivating land under the Recognition of Forest Rights Act (ROFR), will be covered under the Rythu Bandhu scheme. Hyderabad (Telangana) [India], April 18 (ANI): Chief Minister K. Chandrashekhar Rao said that the first phase of Cheque distribution program under Rythu Bandhu Scheme for farmers would be launched from May 10.